Latest update: Thursday, March 24th, 2011 at 9:43 am. What is Brazilian (Gracie) Jiu Jitsu? 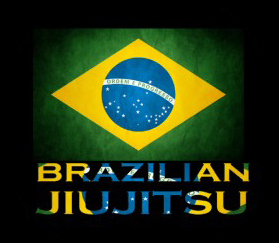 Brazilian (or Gracie) Jiu Jitsu is a martial art based in ground fighting. It is unlike many other ground fighting styles, particularly in the way that it teaches practitioners to fight from their backs. Today, nearly all Mixed Martial Arts (MMA) fighters train in Brazilian Jiu Jitsu due to the success that past practitioners have had in the sport. Over four centuries ago in northern India, Buddhist monks were busy going about the dangerous work of trying to spread the word of Buddha in a world that wasnt always kind to roaming peoples. In order to defend themselves from attacks that happened along the way, they developed a form of grappling that allowed them to subdue opponents without killing them. Eventually this style of fighting made its way to Japan where it was improved upon and called jujutsu or jiu- jitsu. Judo is a derivative of jiu- jitsu. The Japanese sought to hide jujutsu and its derivatives from the western world, but nothing lasts forever. In 1914, Kodokan Judo master Mitsuyo Maeda (1878-1941) came to stay at the household of Brazils Gastao Gracie. Gracie helped Maeda with business in the area and in appreciation of this, Maeda taught Gastaos eldest son, Carlos, the art of judo. In turn, Carlos taught the other children in the family what he knew, including the smallest and youngest of his brothers, Helio. Helio often felt at a disadvantage when practicing with his brothers because many of the moves in judo favored the stronger and larger fighter. Thus, he developed an offshoot of Maedas teachings that favored leverage over brute strength and refined the formula for fighting from ones back on the ground. Today the art that Helio refined is called Brazilian Jiu Jitsu. Brazilian Jiu Jitsu fighters tend to feel very comfortable fighting from a position called the guard, if need be. The guard position-- in essence, wrapping ones legs around an opponent to limit their movement-- is what allows them to fight from their backs so effectively, and is also something that separates their art from most other grappling styles. On November 12, 1993, Helios son Royce showed the world what Brazilian Jiu Jitsu could do by taking home the inaugural Ultimate Fighting Championship (UFC) trophy in an open weight, barely-any-rules tournament. Even more impressive was the fact that at only 170-pounds he went on to win three of the first four UFC Championship Tournaments. Since Royce Gracie made his familys style of jiu jitsu famous, many other variations of jiu jitsu have popped up. All of these are in some way attributable to Gracie Jiu Jitsu. Machado Jiu Jitsu, founded by a cousin of the Gracies, is the best known of these variations. Also the non gi version (also called NOGI) called 10th Planet Jiu Jitsu, created by Eddie Bravo (who was the first Non Brazilian to submit a Gracie in Jiu Jitsu competition). Helio Gracie vs. Masahiko Kimura: Kimura repeatedly employed judo throws on his much smaller opponent, intent on knocking him out with each and every attempt. After 13 minutes of this, Kimura applied a ude- garami (reverse shoulder lock). Though it was sunk in deep and eventually broke Helios arm, the smaller Brazilian still refused to tap out. The fight ended when Helios brother Carlos threw in the towel. That shoulder lock was eventually renamed the Kimura, as a tribute to the man that defeated Helio. Rickson Gracie vs. Hugo Duarte: Most people dont realize that there was a time in Brazils history when a martial arts discipline by the name of Luta Livre vied for top dog in Brazil, along with Brazilian Jiu Jitsu. As the story goes, Duarte, a disciple of Luta Livre, said something insulting about Rickson Gracies family on a Brazilian beach. From there, Rickson slapped him and a fight ensued that was caught on camera by a tourist. In the end, Rickson--an undefeated fighter that many believe to be the greatest Brazilian Jiu Jitsu practitioner ever-- mounted his opponent and pummeled him into submission. The tape of this fight was later used as a marketing tool, selling Gracie Jiu- Jitsus effectiveness. Royce Gracie vs. Dan Severn at UFC 4: Greco-Roman wrestling superstar Dan Severn outweighed Royce by approximately 80 pounds during their bout at UFC 4. The way that Severn pounded on his opponent through 15 minutes of their epic battle seemed to indicate that Royce felt every bit of that weight differential. But then, in one fell swoop, Royce Gracie managed to do something with his legs that left many spellbound. The move was called a triangle choke, and it forced Severn to submit to his smaller opponent.